Ben Matheson. Image via his Twitter. Welcome to episode 11 of Data Viz Today. How can you make your sports viz appeal to a wider audience to include those passively interested in your sport? Host Alli Torban dives into specific ways to pull out the strategy and nuance of your sports data. Featured viz by Ben Matheson models how to appeal to a wide audience by visualizing the strategy behind the run/rest decisions of Iditarod mushers. "A Debt That Must Be Paid" By Ben Matheson. Image via his website. 01:00 - If you’re interested in occasionally drawing in the passive sports fan into your viz, this episode is for you! 01:45 - Ben Matheson works on freelance data and web projects in Anchorage, Alaska. 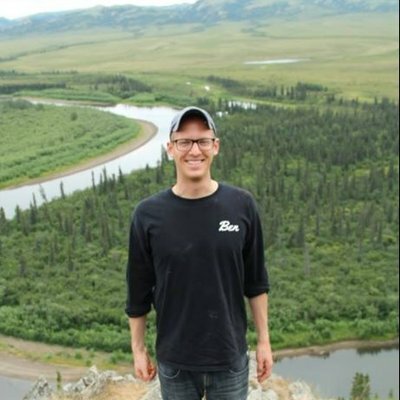 He also was a trail reporter for the 2017 Iditarod where he followed and interviewed the teams. He also helped create the super cool podcast called Iditapod. 02:55 - He got the data from the Iditarod’s website. 03:10 - He used R and DPLYR set of functions to clean the date formats. 03:25 - He wanted a barcode-like style of visualization to show each musher’s run/rest strategy. 05:10 - Why is this so interesting? Ben was able to tap into a strategic component of his sport. 05:25 - How can we recreate this? Thinking from the sports novice perspective, I’m interested in the representation of the moment-to-moment strategy and the nuance of a particular move. 06:30 - Strategy and nuance! 07:10 - For my inspired viz, I thought of stop/start or on/off things or one-time decisions that happen in different sports. 07:20 - This made me think of the castling move in chess. 08:05 - This one-time move is the perfect instance of showing strategy and nuance in sports. 08:30 - Download PGN files from soooo many matches! 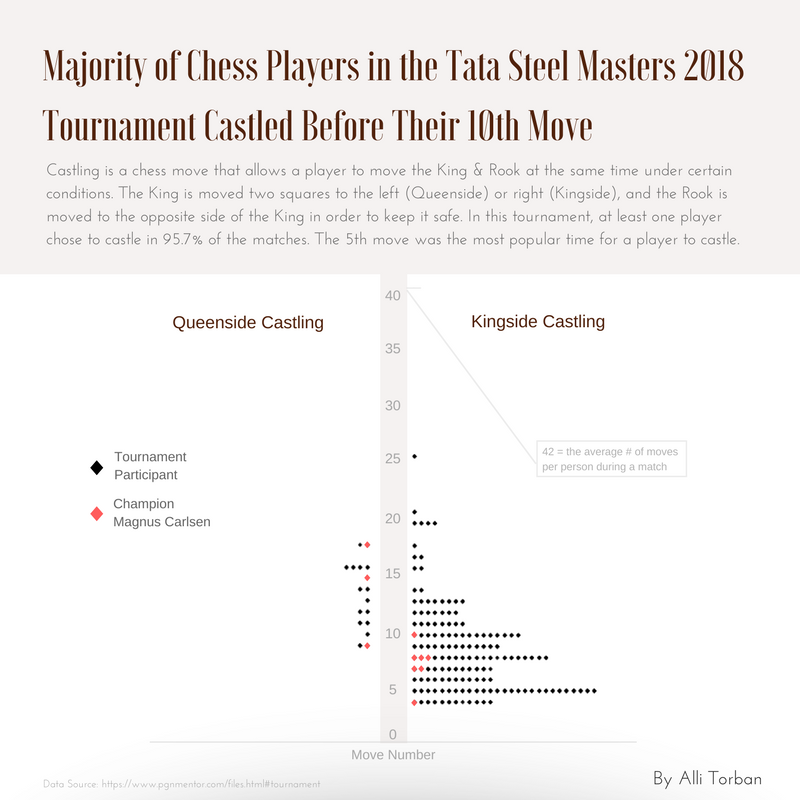 09:00 - I used beeswarm plots in R to show the distribution of when players tend to castle and to which side during the 80th Tata Steel Chess Tournament. Did some edits/annotations in Illustrator. 10:05 - Final takeaway: If you want your sports viz to appeal to a wider audience, then focus on how you can visualize strategy and nuance. Think about start/stop, on/off, or one-time decisions during a match. 11:30 - Nominate a data viz to be featured on the show!